New Delhi, March 22, 2017: Vital Intelligence Group, one of Israel's leading Cyber Intelligence companies is participating in DEFCOM India 2017 on the invitation of Fourth Dimension Solutions Ltd, a New Delhi based organization offering end to end IT product sales and service, as a guest speaker. The DEFCOM India event is scheduled for 23rd and 24th March 2017 in New Delhi. The Vital Intelligence Group, with a uniquely strong and robust cyber intelligence software platform will showcase its unique FUSION-KEY platform at the event at the stand of Fourth Dimension Solutions Ltd. Within the framework of 25 years of India-Israel relations, Fourth Dimension Solutions has invited Vital Intelligence Group to participate and present a unique cyber intelligence platform of solutions with an objective of providing solutions to the overall respective Indian industry. 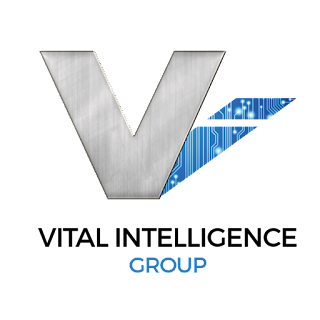 The Vital Intelligence Group are focused on empowering its clients with Vital Intelligence, assisting in making significantly better risk and security related decisions by providing the most insightful, actionable intelligence available. Providing integrated professional expertise with advancing cyber technology enabling clients to unlock new synergies complimented with unique services and advanced cyber training. Mr. Marc Kahlberg, the CEO of Vital Intelligence Group and a guest speaker at the event will present a key-note aspect of his paper "The Evolution of Revolutionary Cyber Warfare". “DEFCOM India 2017 an event arranged and organized by the Confederation of Indian Industry will be a wonderful platform for understanding the core cyber requirements and know how we can jointly assist them in their cyber intelligence needs of the future. We look forward to interacting and meeting with delegates as well as other exhibiting companies and improving both our and their experience on our special platform of Cyber Intelligence solutions”, said Marc Kahlberg, the Vital Intelligence group CEO. The Vital Intelligence Group is focused on empowering our clients with Vital Intelligence. We assist you to make significantly better risk and security related decisions by providing the most insightful, actionable intelligence available. Our intelligence team allows you to integrate professional expertise with advancing technology enabling you to unlock new synergies complimented with unique services and advanced training.